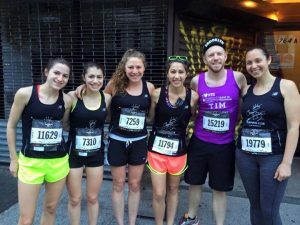 Get ready team: Brooklyn Half is coming! May 4: Custom Performance is hosting ONE MONTH OUT: BROOKLYN REPRESENT. Join an exemplary panel of coaches, nutritionist, and specialists from the hottest NYC running clubs for a social and discussion about the 2017 Airbnb Brooklyn Half Marathon GIVEAWAYS & DEMOS! HYPERICE PRODUCTS AND ZENSAH COMPRESSION GEAR!!! WIN A FREE VO2 MAX TEST! Join New Balance us for a 10-mile training run starting at Pier 2 in Brooklyn Bridge Park, the same place you’ll pick up your bib at the Airbnb Brooklyn Half Pre-Party. The run will finish at the NYRR RUNCENTER, where attendees can enjoy brunch (with live DJ) hosted by New Balance. May 13: CHRC Taper Time! Last Hurrah! Stay tuned for information about CHRC’s last Saturday Long One a week before the big event. Nate and other experienced runners of the event will be available to give tips on the taper. Your Gear will be distributed at this time so you’ll be all outfitted for the big event! ONGOING: Keep coming out to our weekly Group Runs to get your miles effectively with fun! Missed out on Brooklyn Half? More Team racing opportunities are coming! NYRR Summer and Fall race registrations are now open. To see all kinds of races that you or your running buddies running, please use our Race List! 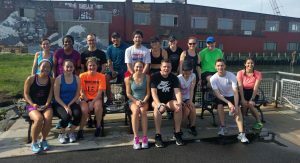 Another opportunity for a dose of Joe’s strength and conditioning for distance running is this WEDNESDAY MAY 3 at 7:30pm at the GAP entrance to Prospect Park at the bike racks. We will be doing some things on the ground so bring gloves if you want. CHRC is proud to support Girls on the Run at their Spring 5K! You can join the team in our semi-annual volunteer opportunity by registering at gotrnyc.org/5kinfo for any of the following roles. Please note your CHRC affiliation when you register. Let us know you’re coming by RSVP on Facebook. SPARKLE RUNNER (female-identifying folks only): get paired with a team to run with and cheer them on on the course. 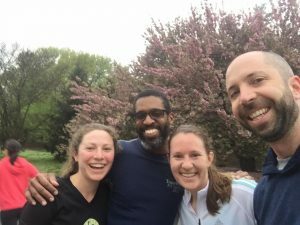 Attend their practice 5K in mid-May if you can! VOLUNTEER (open to all): as a general 5K runner or a general volunteer to help with anything and everything on the course! Click choose “join an existing team” and choose CHRC in the dropdown when you sign up! BACKGROUND: Girls on the Run is a national youth development program that uses running to help 3rd-8th grade girls build confidence and other amazing attributes and skills through running. The season culminates in a 5K, which relies on a lot of community support! We need volunteers to help with all aspects of managing the event and to run with the girls. SPECIAL INFO: CHRC member Allison Hauser is the Executive Director of Girls On the Run: NYC and Aliza Gazek is coaching a team this season! 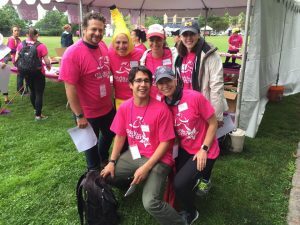 Aliza’s team members and many of the other girls in the program need buddies to help power them through the 5K and volunteers to set up the course and hand out snacks– this can be you! Pre-5k Activities and day of registration opens at 8 am and the 5k begins at 9 am.